On your plate…in under 30 minutes! BAM! Bring chicken stock to a boil. Whisk in grits and salt, then reduce heat. Allow to cook for about 15-20 minutes until done, whisking frequently. Whisk in butter and cheese until smooth and creamy. Stir in Jalapenos. Season Salmon fillets with blackened seasoning. Heat olive oil in an oven safe skillet. 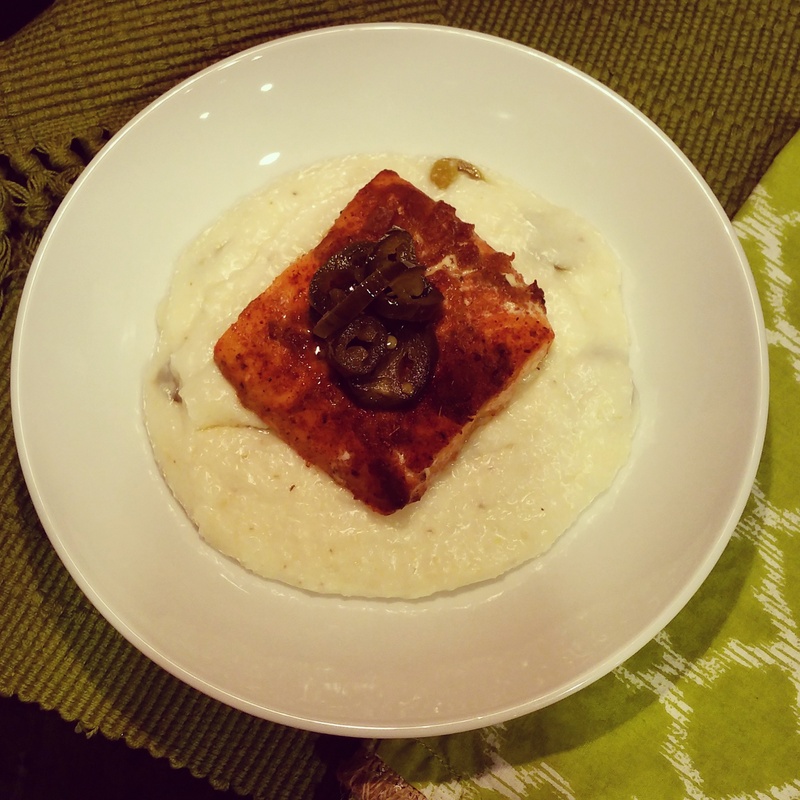 Sear salmon for two minutes per side. Place skillet in a 375 degree oven for 10 minutes. Serve over grits. 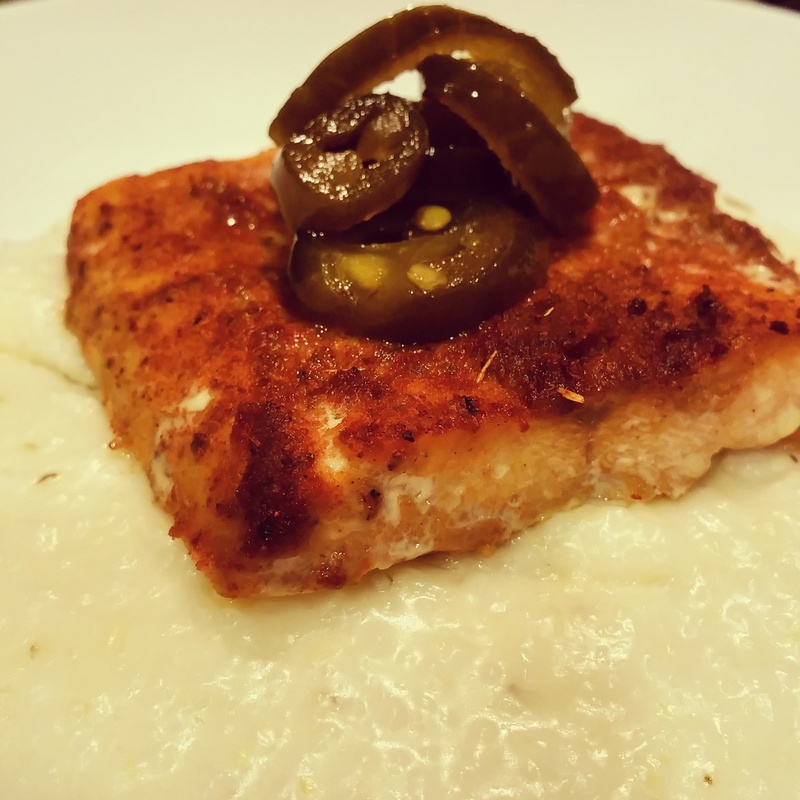 Top with additional candied jalapenos. 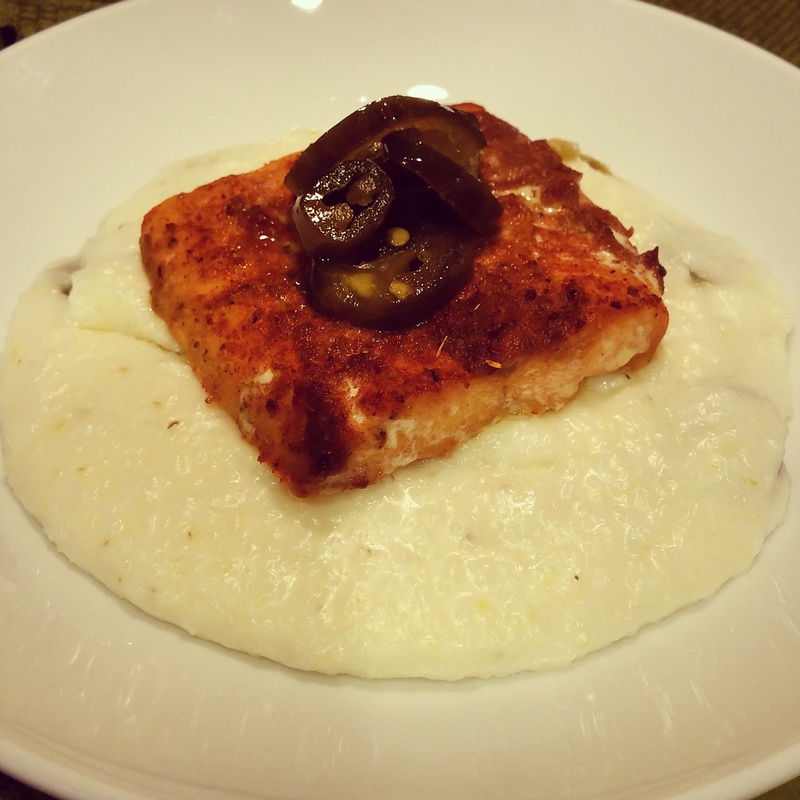 I love salmon, but have never had it over grits. Goat cheese is awesome and hubby loves the spicy peppers. Sounds great!! You got me at salmon, jalapeno and goat’s cheese! Looks really good!